Is anybody scrambling to get a last minute Easter dress? I’m sharing some of my favorite picks that are still available to get to you by Sunday! I’ve picked price points that fit any budget and styles that fit all different body types. I love the color of this dress and it screams SPRING! I also like the sleeves because it is still cold here in Charlotte. The V neck and cinched waist are super flattering for every figure. This photo makes the dress look red, but it’s actually a really pretty coral color (you can see it better in the link below). The scalloped hemline is so sweet and delicate, which is perfect for Easter Sunday. I love how girly this dress is! The pink flowers are so pretty and the wrap makes is super flattering. It’s also 30% off! I LOVE this dress! It is so elegant and the yellow is gorgeous! 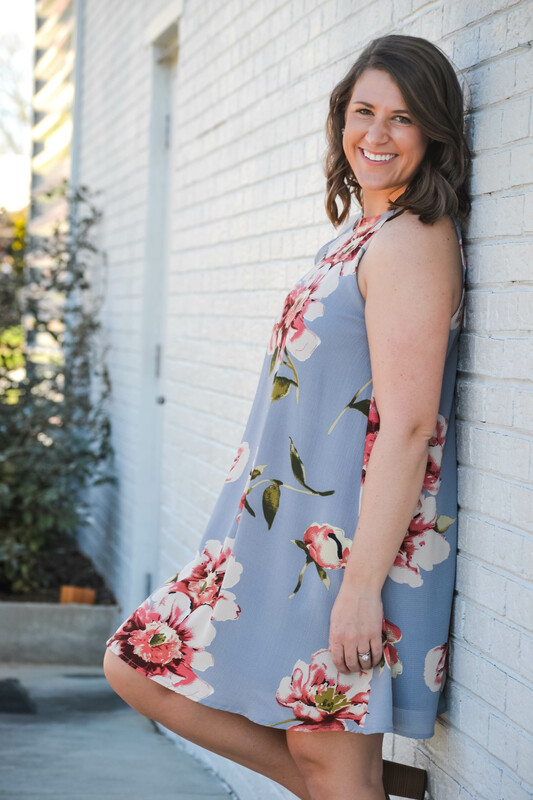 This dress is not only perfect for Easter, but you could easily wear this to a bridal shower or wedding. There is something so classic about a white Easter dress. The sleeve detail is so lovely! This would be perfect for a bride too! I saved the best for last! This midi dress is stunning! It comes in tons of different colors, but I think this lavender color is my favorite! I hope this has been helpful for some Easter inspiration! Easter has always been such a special holiday to me. Even as a kid I always loved Palm Sunday and the Holy Week. The celebration of the resurrection is truly amazing and one of my favorite days of the year. I am still searching for a church near our new house and it has proven to be a challenge! Maybe an Easter service will be what I need to feel at home!